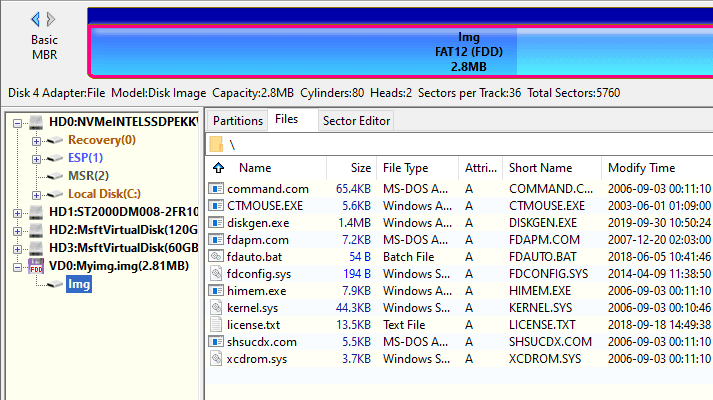 DiskGenius supports uncompressed image file of disk and partition. It is able to open and operate all kind of image files as long as it is in compressed format, such as ".img", ".ima", ".vfd" and ".flp". The following steps show how to create .img image file. Step 2 Set file path and capacity, and click OK button to create the image. You can select a capacity from the five built in standard floppy image size: 360K, 720K, 1.2M, 1.44M and 2.88M; also, you can specify a capacity by yourself and then you can select an image type, "Disk Image" or "Partition Image". 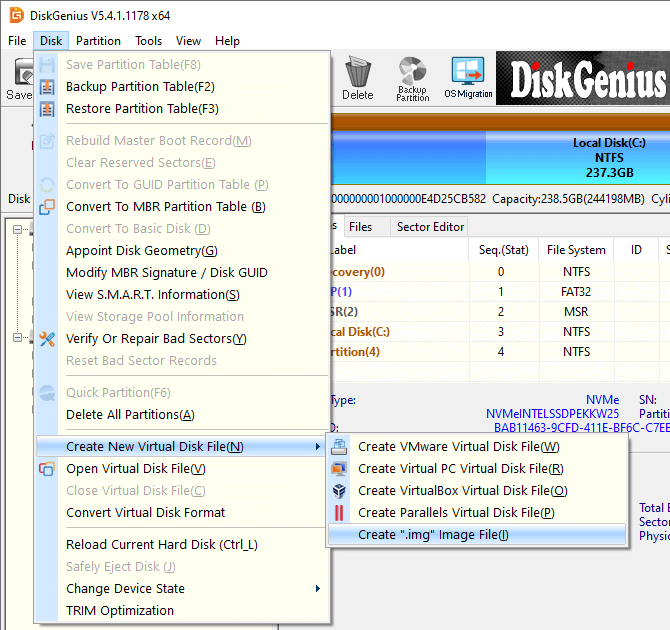 Disk Image is just like a real disk which can be repartitioned; Partition Image is similar to floppy disk image which can only be formatted not repartitioned. 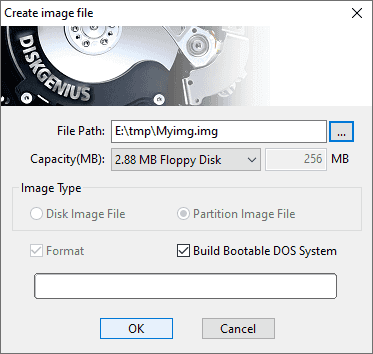 By default, DiskGenius builds bootable DOS system in the image when it is created. Thus, this bootable image file can be used to boot a virtual machine or make bootable CD. Due to the software copyright, DiskGenius adopts FreeDOS which is small, free and compatible with MS-DOS. If you do need to use MS-DOS system, you can just replace files of the folder "dos" in the directory of DiskGenius with MS-DOS system files. DiskGenius opens the image file once it is created. Besides, you can add other files to the image by using the function of copying files.